I was provided the products described to facilitate this review from Bruegger's Bagels. 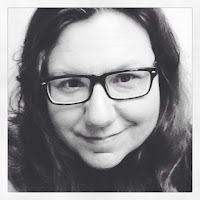 I have not received additional compensation. All opinions are mine. Giveaway open to Northeast Ohio residents. Mmmm... Bagels. I've missed carbs. I mean I r-e-a-l-l-y missed carbs. There is nothing yummier than bread, especially fresh bagels. I have not deliberately cut bread from my diet but over the weekend I discovered that I did! 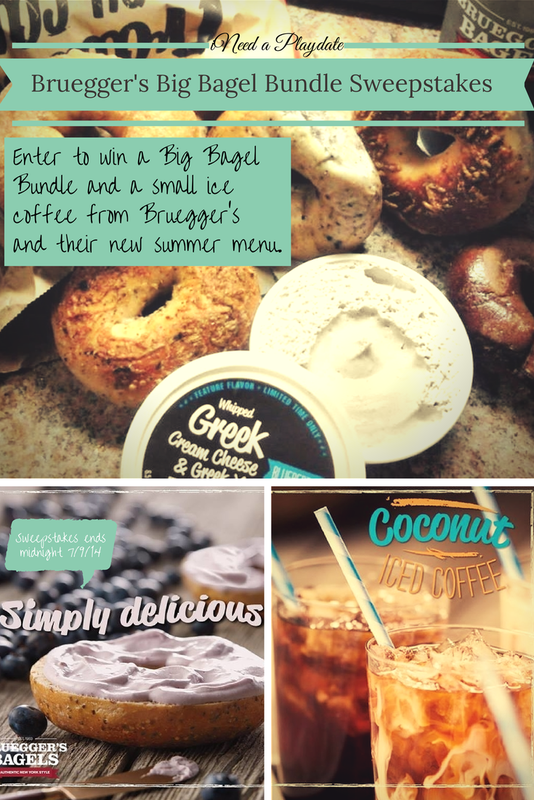 Thank goodness Bruegger's reached out to me to try their new summer menu for this post and I get to host a sweepstakes for you to win a Bruegger's Big Bagel Bundle and a small ice coffee! 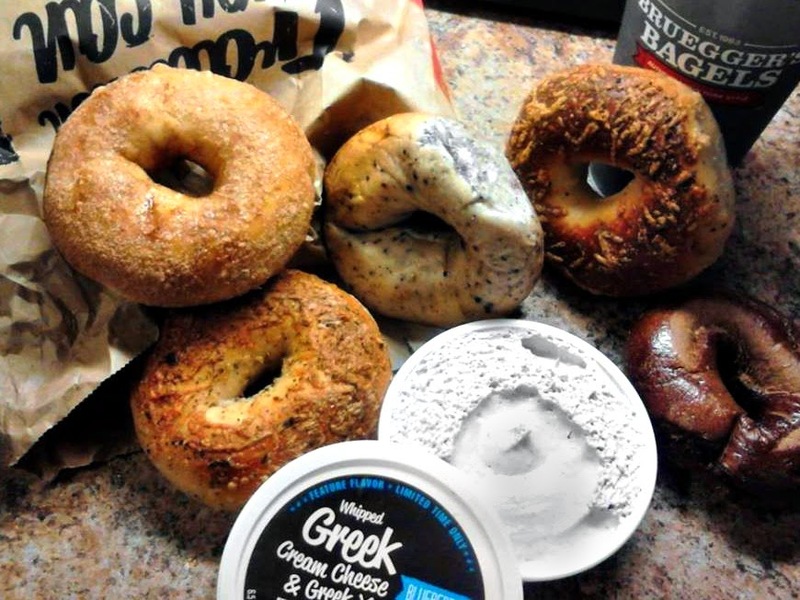 Having a full weekend of swimming, Great Lakes Science Center, cleaning, laundry, and of course just planning outside, it was a treat to run over to Bruegger's pick up a bundle of bagels (which includes two spreads with 13 bagels!) and head home before heading off to tackle the day. 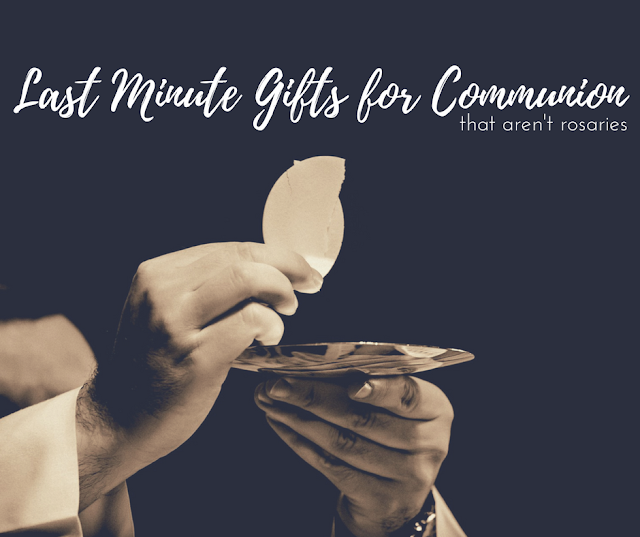 Everyone likes something different and the one thing my kids share in common is no spread! Weirdos! Baby Girl went with me and all she wanted was blueberry and a slice of cheese. The wonderful manager at the Center Ridge Bruegger's obliged her with a slice of American and the super helpful (and extremely patient) team bundled our bagels after wavering on all of the choices. As soon as I walked into our house my oldest was waiting for his plain - which was still warm! I set to work on toasting Baby Girl's blueberry. 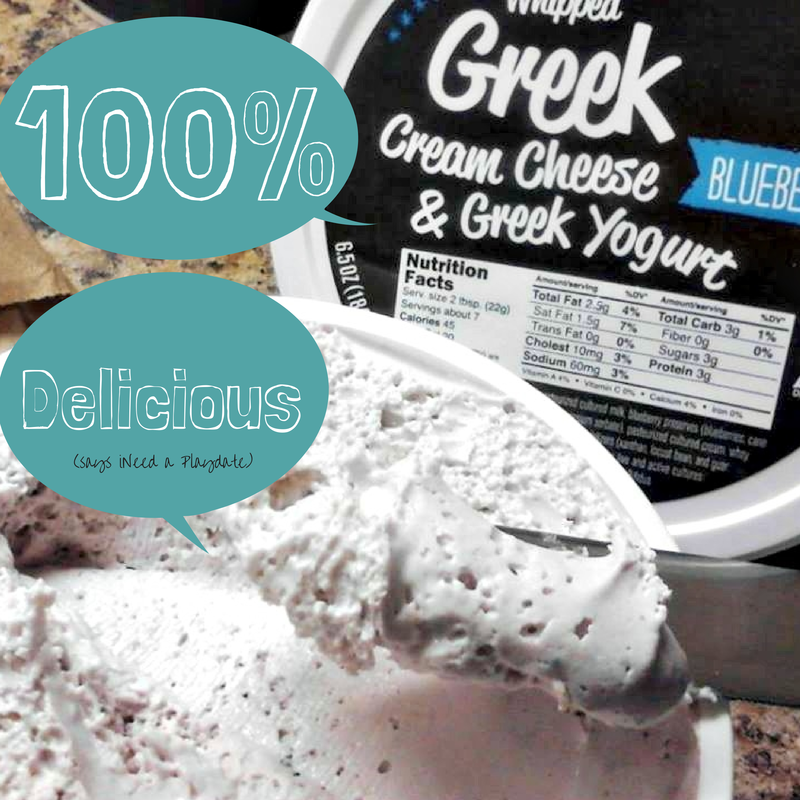 I could not wait to try the new whipped blueberry Greek yogurt cream cheese spread (only 45 calories a serving!) on 12 grain and I picked up the bacon and scallion spread for the husband which he had on his cinnamon and sugar bagel. Hands down my favorite bagel of all time is pumpernickel but that is for tomorrow's lunch when I try the bacon and scallion spread with some turkey lunch meat. It will be worth it. The island coconut coffee and the blueberry Greek yogurt cream cheese spread are just two of the new summer items. Bruegger's also has a Jalapeno Bacon & Egg with egg, jalapeno bacon, cheddar cheese and a zesty sofrito sauce served on a 12-Grain Bagel and for lunch an Edamame & Beet Salad a combination of beets, grilled chicken, blue cheese and pickled onions, tossed with a light, summery honey-orange vinaigrette. At 310 calories, I will be back to enjoy that sinfully sounding, yet absolutely guiltless salad. Once armed with our bagels (and for me, iced island coconut coffee) we were off to greet the day, again. 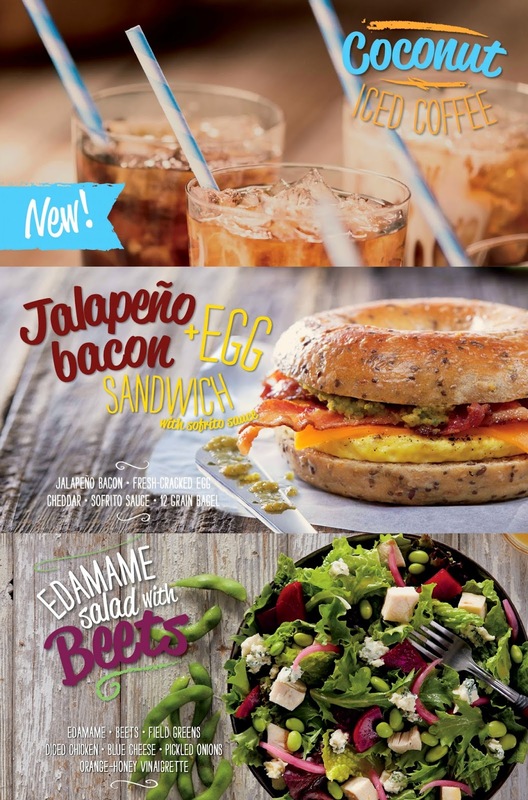 Which of Bruegger's summer menu items would you like to try? 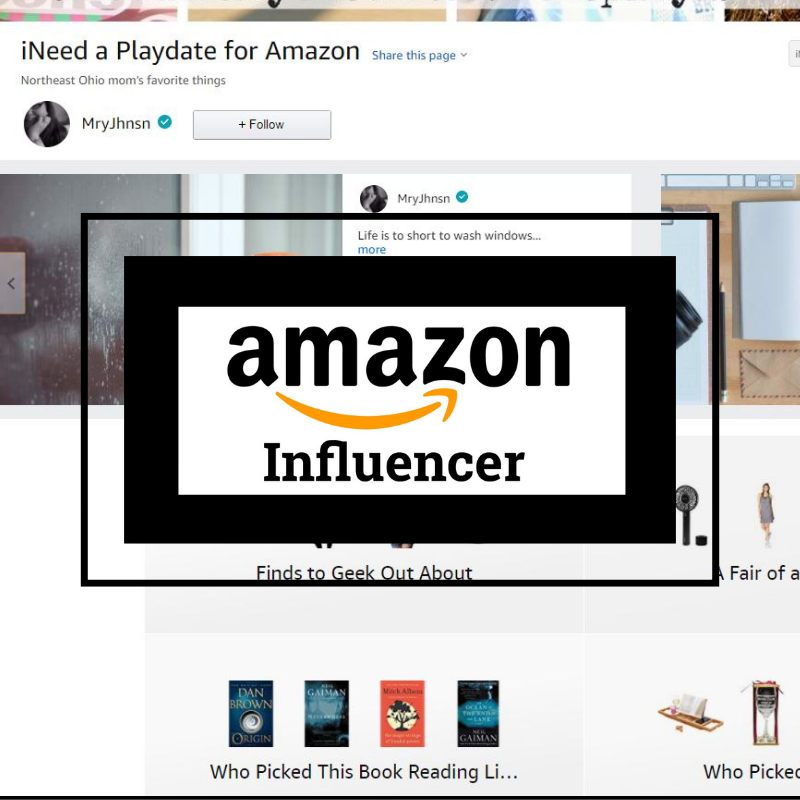 Now is your chance to enter to win a BIG BUNDLE of BAGELS (13 bagels and two spreads) and a small ice coffee for you and your family via raffleccopter! This is only open to Northeast Ohio residents.